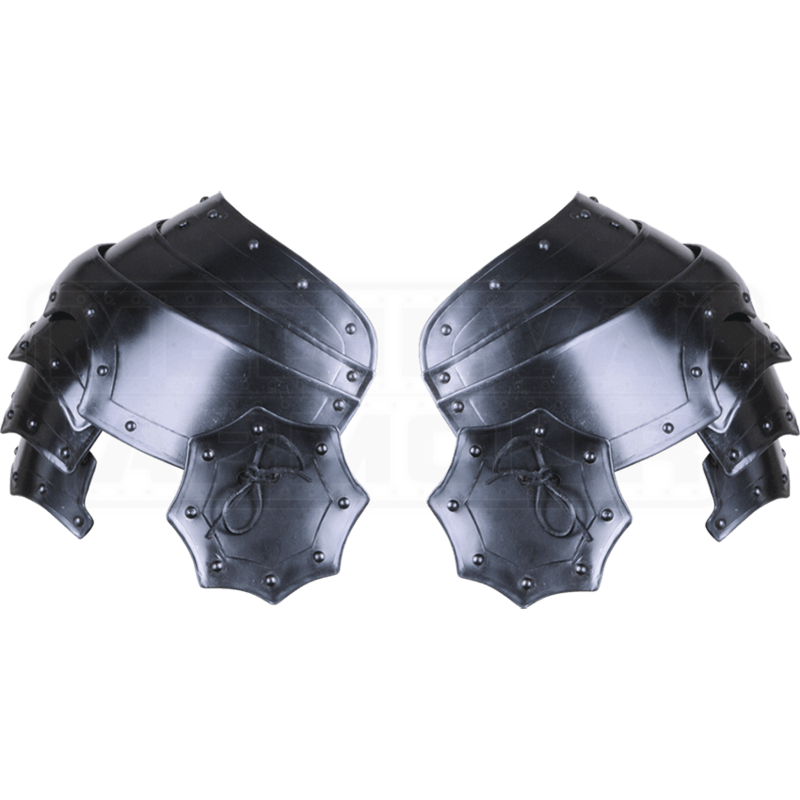 The perfect touch for warlord and mercenary ensembles, the Large Blackened Balthasar Spaulders are ready for the battlefield. 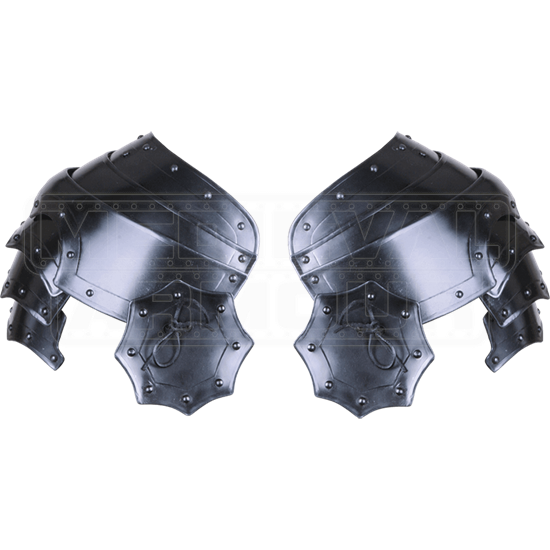 The steel shoulder armour shows off a dark metal finish along with decorative rivets along the rims. The steel spaulders are crafted from seven individual parts to allow a very flexible range of movement, which is a critical trait when fighting. The LARP armour pairs well with our other Balthasar-style pieces. 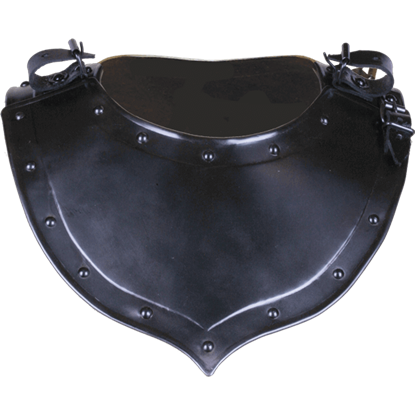 We recommend wearing these metal spaulders with a gambeson or other padded arming wear for increased comfort. We also offer a smaller version (MY100063). Please note that this item must be worn with a gorget.